If you aren’t sure whether a rowing machine or elliptical will be a good fit for your exercise plans, this article can help you by outlining some of the pros and cons of each piece of exercise equipment. Keep in mind, though, that the final decision should be based on your own personal needs and budget. Comparing a rowing machine to an elliptical trainer (sometimes called a cross trainer) is fairly straightforward. Each machine will give you a good full body workout because both utilize the arms and legs during your exercise routine. A rowing machine edges out the elliptical, however, because you use more muscle groups, including the core muscles of the abdominal area. As you move through each stroke, your body will be forced to use correct posture for efficiency and you’ll be strengthening more of your back muscles. 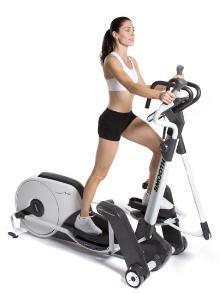 The elliptical has the edge on toning the triceps and chest muscles if you fully use the handlebars. When choosing between a rowing machine or elliptical trainer for range of motion, you’ll need to take a look at a few different models of ellipticals, as the range of motion varies much more between models. Rowing machines on the other hand nearly all have a full range of motion, fully extending both your arms and legs throughout the stroke. Ellipticals in general don’t give you as full an extension of the arms or legs, although it is more of an extension than you’ll find on an exercise bike. If you choose a cross trainer, look for a higher end machine that offers you variable stride lengths to give you more range if possible. Before using any exercise equipment, talk to your doctor to determine whether you are healthy enough for some strenuous physical exertion and a good cardiovascular workout. Once you’ve gotten the okay from your physician, consider any physical problems you have. If you’re choosing between a rowing machine or elliptical and you have ankle or knee joint problems, consider an indoor rower, as it is a non-weight bearing machine. You’ll be able to work out strenuously without putting stress on your joints. On the other hand, if your joints are fine but you’re concerned about osteoporosis, some tests have indicated that the combination of low impact and weight bearing exercise of an elliptical can help strengthen your bones. Which Is Easier to Use, a Rowing Machine or Elliptical? For most people, an elliptical trainer is more intuitive. You can usually step onto the machine and begin your stride with little or no time to get used to the stride or how the machine works. With a rowing machine, you should either have an experienced rower show you the proper form or watch a detailed video to ensure you’re completing the stroke properly. Improper form can lead to a sore back and a less efficient workout. Most people can quickly pick up the right form, but it will take some practice the first day. There are two considerations that have nothing to do with your workout when trying to decide whether you want a rowing machine or elliptical trainer: cost and size. 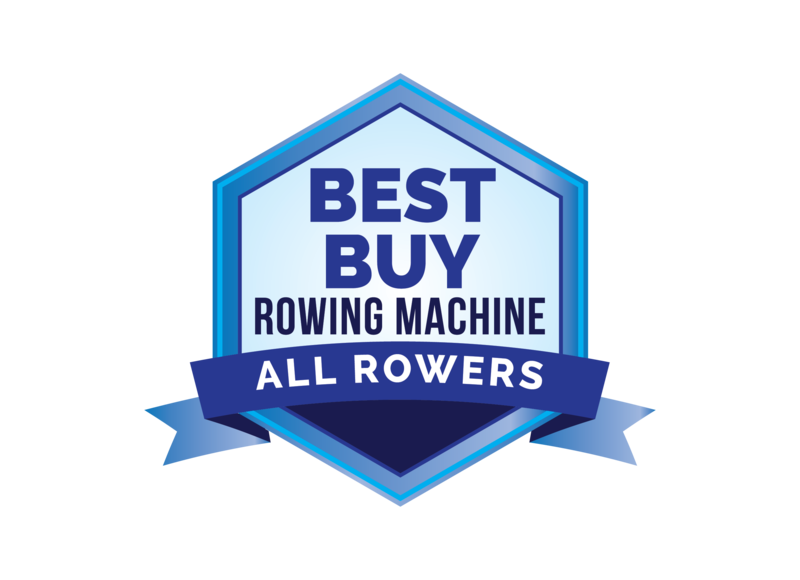 An indoor rower will generally cost about 20% less than a comparable cross trainer, primarily because a rowing machine has fewer parts and will require fewer repairs. An elliptical machine will also take up a considerable amount of space, especially head room. If you’re going to be using either machine in a basement or room with low ceilings, be sure you know how much head room you’ll need at the top of the stride on an elliptical. If you still aren’t sure whether a rowing machine or elliptical trainer is right for you, talk to friends that use them and get some input. You should also visit a gym or health club and try both machines out a few times to decide which one is the best exercise machine for you.